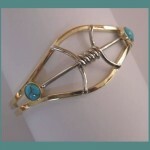 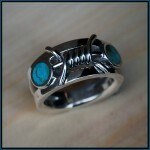 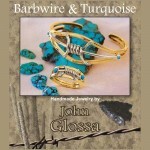 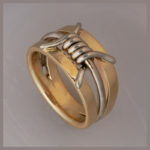 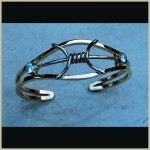 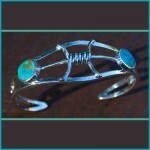 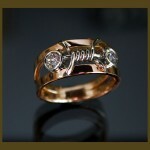 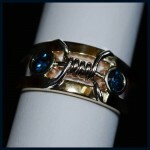 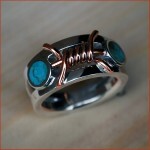 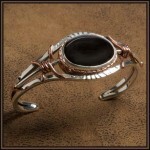 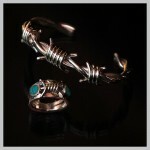 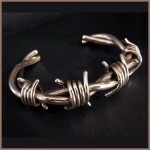 ORIGINAL BARB WIRE JEWELRY: These jewelry creations have been born with the flavor and spirit of the Old West. 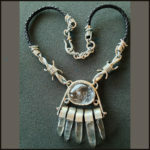 Out of the ordinary works of art, these pieces are handmade to the order and one-at-a-time. 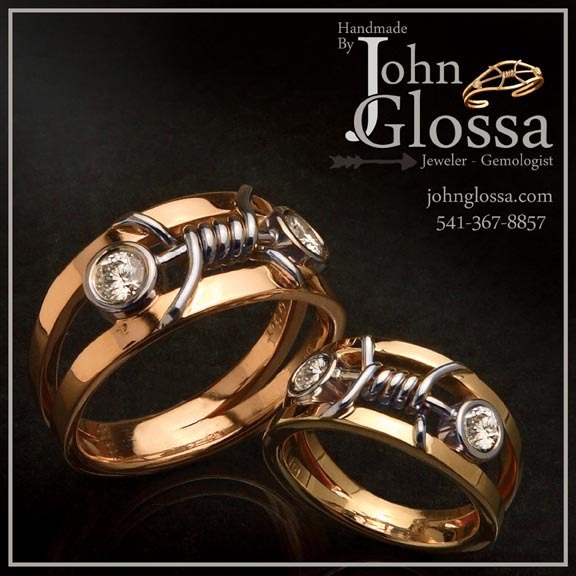 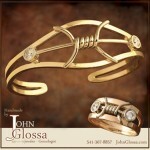 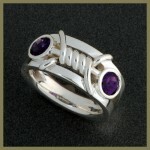 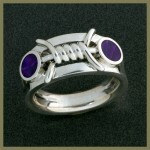 Custom order jewelry may tend to be a lengthier process, but with true rewards. 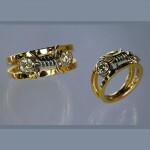 This individual attention offers you a unique work of art, quality to detail, and a lasting treasure. 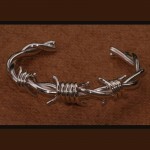 Price: TBD Barbed Wire Style matching Sterling Silver bracelet and ring.